and Shine, Inner Quilt coming home. It’s been fun seeing it on the guest bed. Rah-Rah wanted to sleep on it, so I added a fleecy to take care of cat hair. Of course, it lost its charm and she moved on. I 'm taking care of two little foster kittens from Southern Pines Animal Shelter--solid black, just like Tarbaby when he was a kitten. 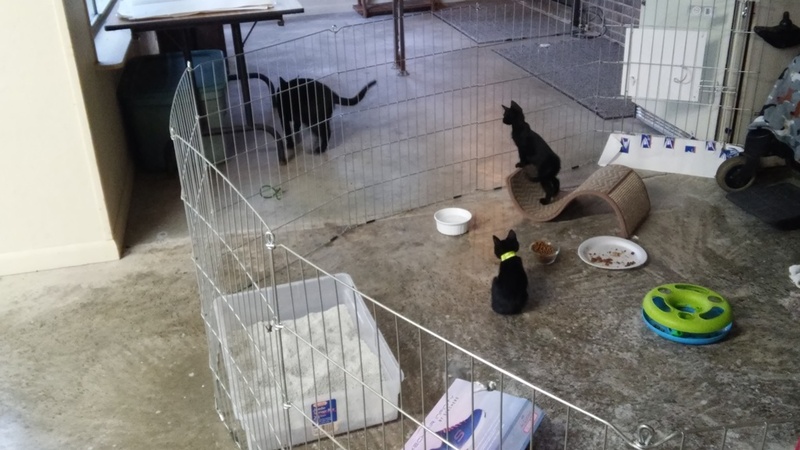 They live in the garage and quickly learned to escape the fence, meaning they have a large place to run since my car stays on the driveway. They were frightened and hissing when I got them. It's amazing what a soft voice and canned cat food can do. Now they run to be picked up and loved, purring before I get them up. 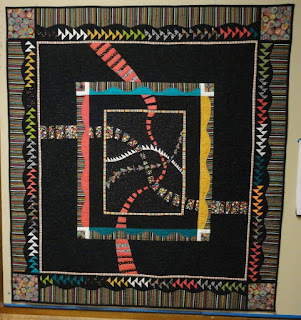 I submitted my Round Robin Pathways quilt to the Smoky Mountain Quilters 2016 show and received a 2nd place and an impressive red rosette ribbon. 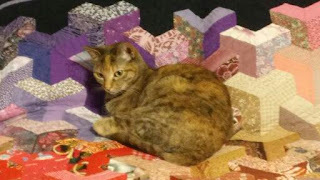 It is being entered in the Old Man River Quiltfest in Vicksburg next month as well as our PBQ October show. 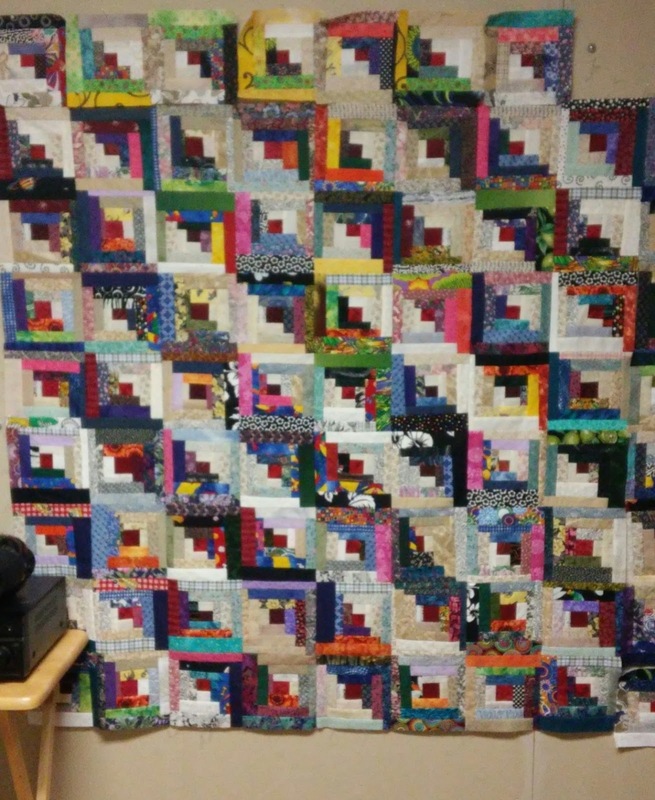 This quilt won “Best Quilt by an Individual” last September in Jackson. 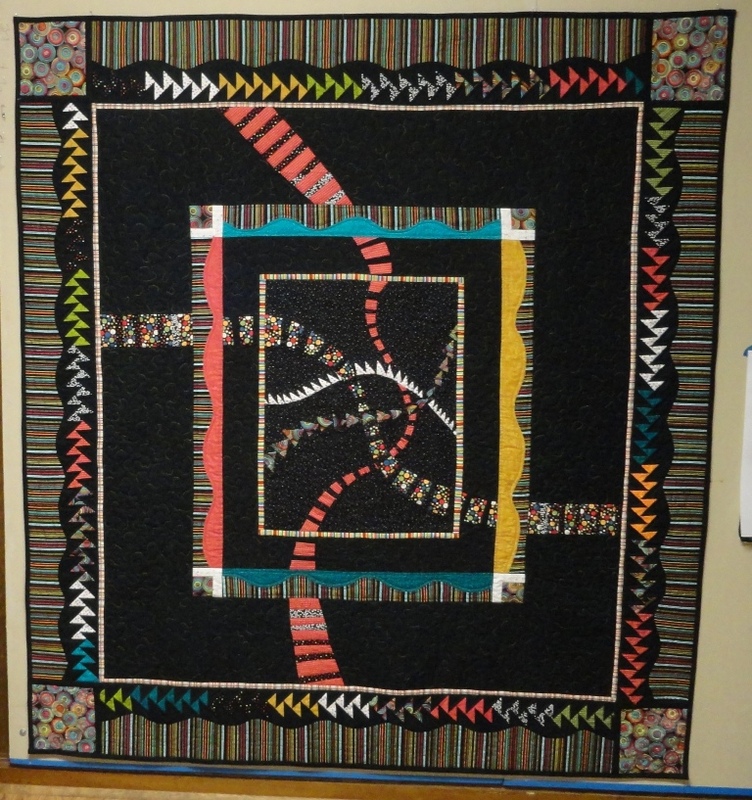 Our Pine Belt Quilters show is fast approaching--October 7-8-9 will be here soon. I have my entries ready and am busy contacting possible sponsors for our awards as well as businesses who will advertise in our show catalog. I have grieved over the tragic loss of lives I see and hear on the news. Some days I prefer not to turn on the TV for fear there will be another senseless act of violence. It troubles me to wonder, “Am I doing anything to change things? If I am not helping with a solution, I am part of the problem.” These thoughts encourage me to be patient, seek the good in others, and treat others as I want to be treated. Sounds so simple. And it’s not a new message. 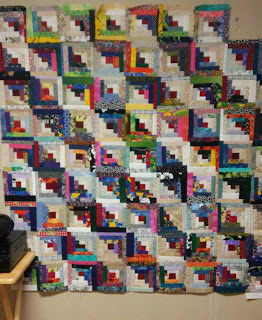 As much as I love making art quilts, recently I have been enjoying stitching some colorful Log Cabin blocks.